Scientific (Scientist) Board of the Institute is a collective consultative body managing scientific and scientific-organizational activities of the Institute. Scientific Board takes decisions and works out recommendations within the limits of its competence as stipulated by the Statute of the Institute. The Chairman of Scientific Board is the Director of Institute, Deputy Chairman is the Deputy Director of Institute for Scientific Research, Secretary is the Scientific Secretary of Institute. The number and the personal composition of the Scientific Board is stipulated by decision of the meeting (conference) of research scientists of the Institute and approved by the Order of Presidium of NAS of Ukraine. 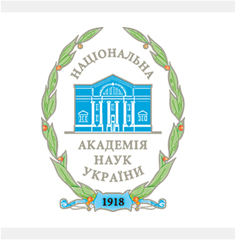 nomination of candidates for Full Members (Academicians) and Correspondent Members of the National Academy of Sciences of Ukraine. Analyzes the realization progress of scientific researches, their material and financial support, scientific staff qualification. annual report on scientific researches of the Institute. themes of dissertations of doctors, candidates and students of post-graduate courses, their scientific advisers. other matters set out by the Institute Statute.